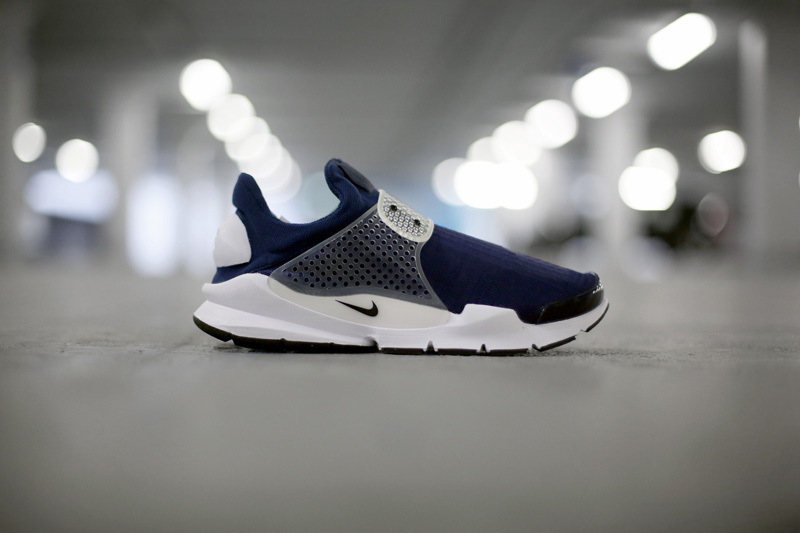 Building on the shoes increasing popularity from last year, Nike have unveiled the latest iterations of the futuristic Sock Dart silhouette for 2016, set to land with us in-store shortly. With the shoes design inspiration drawing from the make-up of the classic Sock Racer silhouette, the Sock Dart made a high profile return to the market, following at 10 year absence, as subject of a collaborative effort with Hiroshi Fujiwara’s Fragment Design. The shoes sock like construction on the upper offers unrivalled comfort and breathability for the wearer. 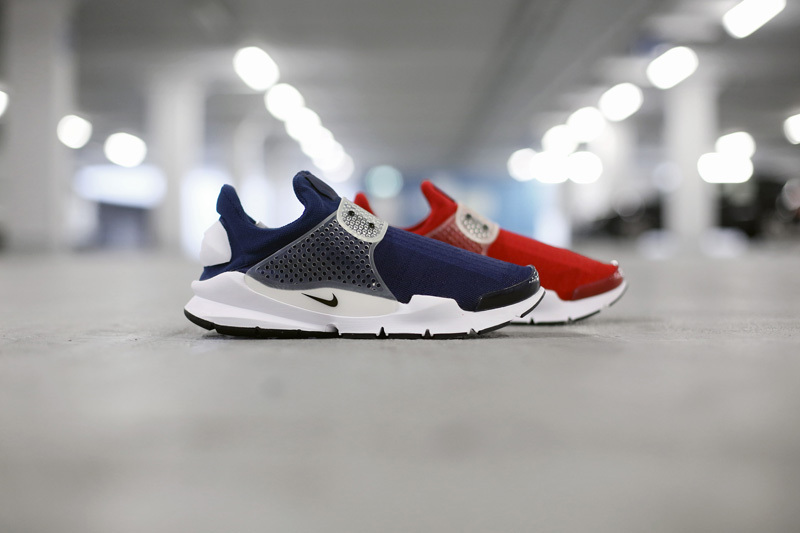 With the warmer months just around the corner, with the deconstructed Sock Dart silhouette, you need look no further for the perfect lightweight summer shoe. The soft upper is reinforced with a supportive clear silicon strap that helps lock the foot in place, alongside protective white tooling on the heel and a tonal toe cap. Both the blue and red colour option sits on top of a clean white sole unit, which features minimal black swoosh branding for a premium finish.